Let this seductive corner of the world get a hold of you and not let go. 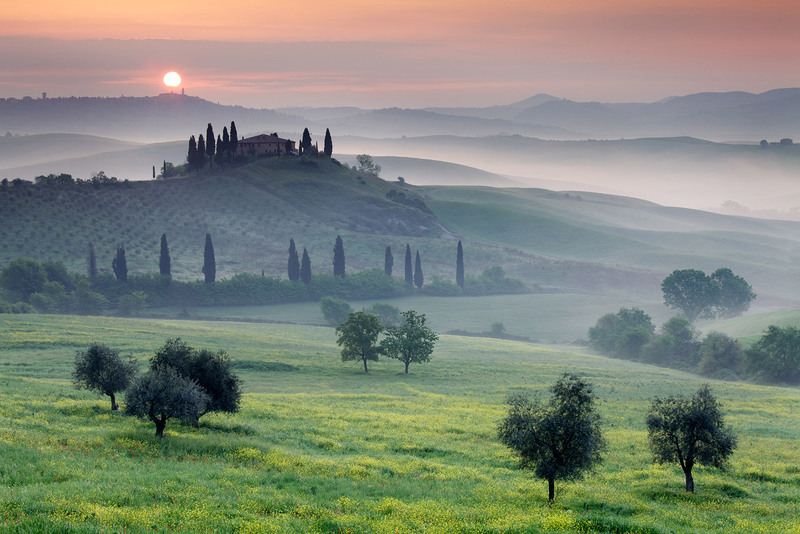 O, Tuscany - just hearing the word itself makes one sigh. The time here has slowed down so you could explore the beauty of its marvelous panoramas; the gentle rolling hills dotted with hamlets just lie in the open, waiting for you to capture the essence of this rural life in perfect harmony with the land. 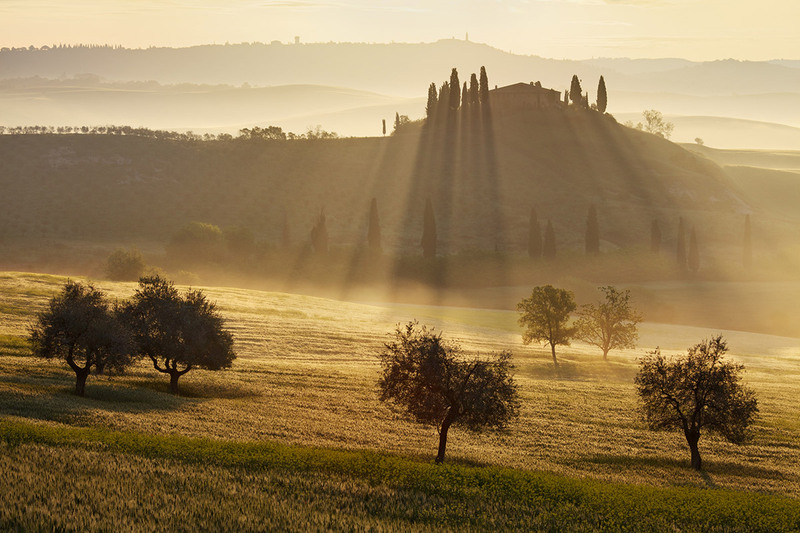 Val d’Orcia will give your more than enough to see, drink and eat during our six-day tour. 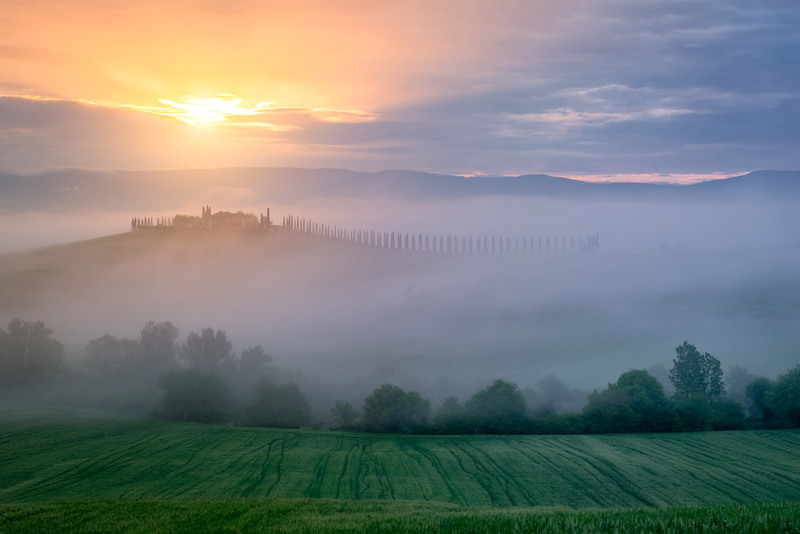 So pack your gear and be prepared to take in some spectacular views of the rousing Tuscan landscapes, indulge in delicious food, wine, and feel the living history all around. Put bluntly - this place is the real postcard material, and you’ll be taking the pictures. We’ll meet at the Florence Airport, Peretola (FLR) at 1 PM. From there we will drive about two hours to make our way to Pienza, where we will break camp in the hotel. On the first evening, we will do some photographing of Pienza’s great locations. Where else to start our tour than in the Val d’Orcia. We’ll settle for what is without doubt one of the most photographed villas in Tuscany, Podere Belvedere. If the weather hears our photoprayers, we’ll catch the first sun touching the morning mists. But not just the villa will be in our finder, but the whole fairytale landscape with hundreds of hills and waves and the towering Monte Amiata in the background. Right after breakfast we will make our way to Bagno Vignoni, ancient spa village with a hot water pool in the main square. 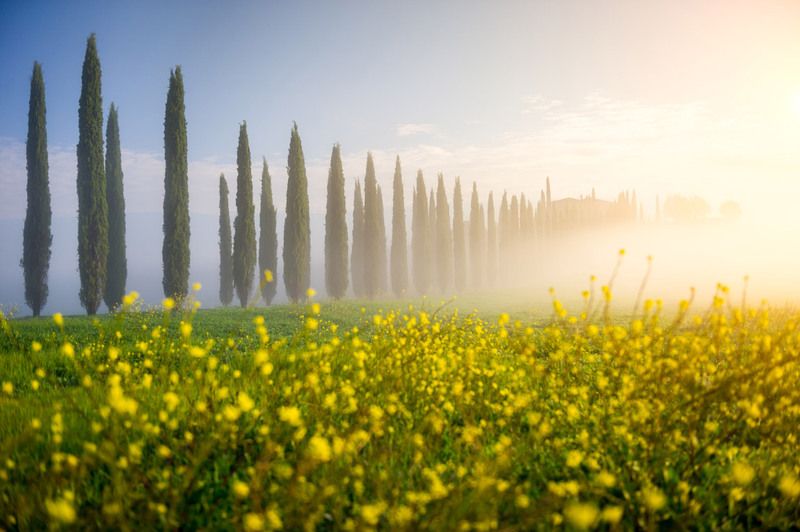 The evening will be in the spirit of yet another famous Tuscan site - the cypress grove in the middle of the rolling fields. We’ll be taking it easy on this breather day. 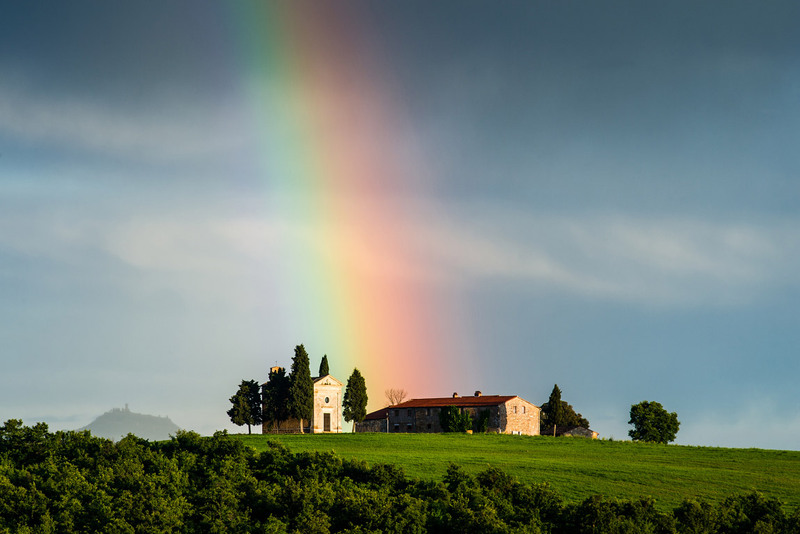 In the morning, we’ll take in some views from and from around Pienza and photograph the stunning Capella Vitaleta, a small church flanked by cypresses crowning the hill, all casting shadows in the light mist. 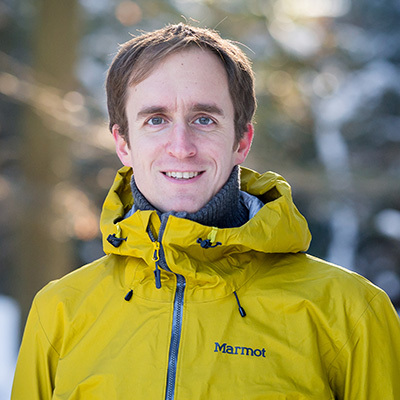 During the day we’ll share our ways of editing in Adobe Lightroom (and Adobe Photoshop) with you. Later in the afternoon we’ll hit the center of the beautiful Pienza to soak in the atmosphere of the ideal renaissance town. We’ll also squeeze in some time to check out some smaller villages like Monticchiello, for instance. On our fourth day we’ll make it to Siena famous for its medieval brick buildings to keep us busy for most of the day. 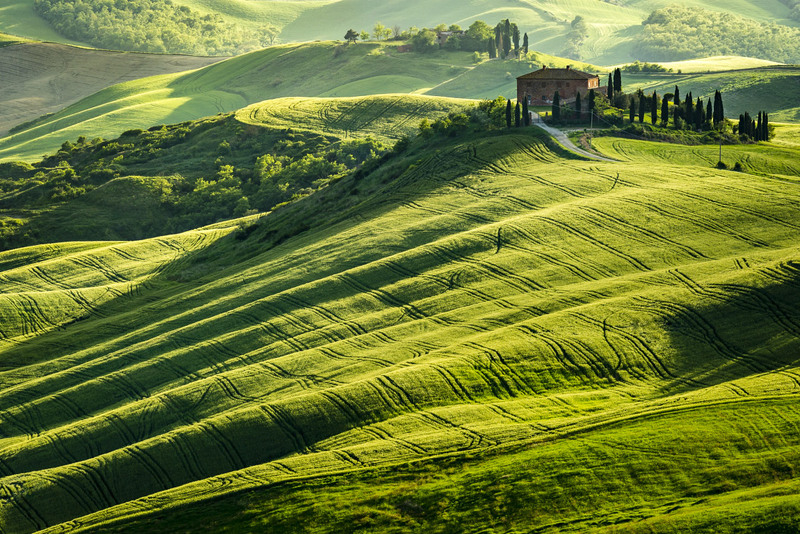 On the way back, we’ll drive through Crete Senesi - its rolling countryside, traditional farmhouses, cypress trees and wavy fields are the images that actually pop up in your head when you think of Tuscany. A plenty of great pictures guaranteed there. Only early birds get to watch the landscape wake up - the sky will turn first colours for us about half an hour before the sunrise, the time when the fog starts to crawl in. We start high above with the main motive - one of the roads with cypress trees leading to the typical Tuscan villa. After this early shooting, we’ll move on down to the road itself so we could put the wide angle lenses to a good use. 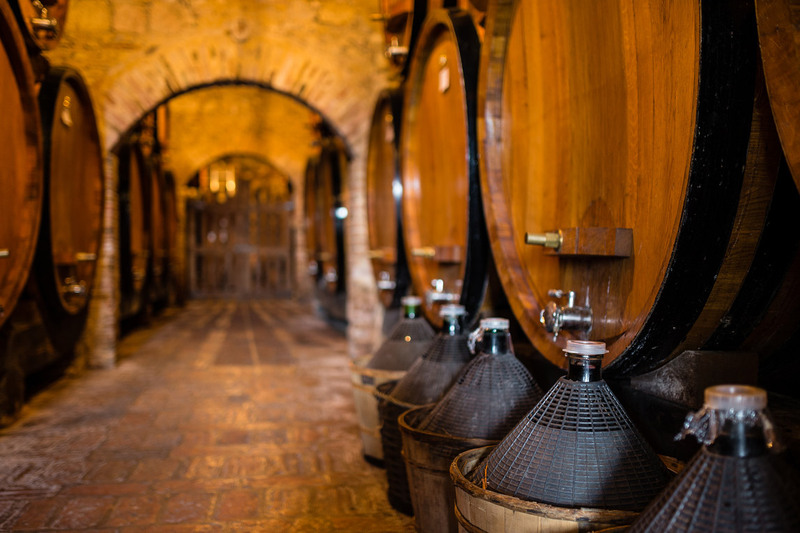 Later on during the day the real spectacle will begin as we’ll explore the famous Montepulciano with its ancient wine cellars. And the evening will reward us with the famous winding road near Montepulciano. 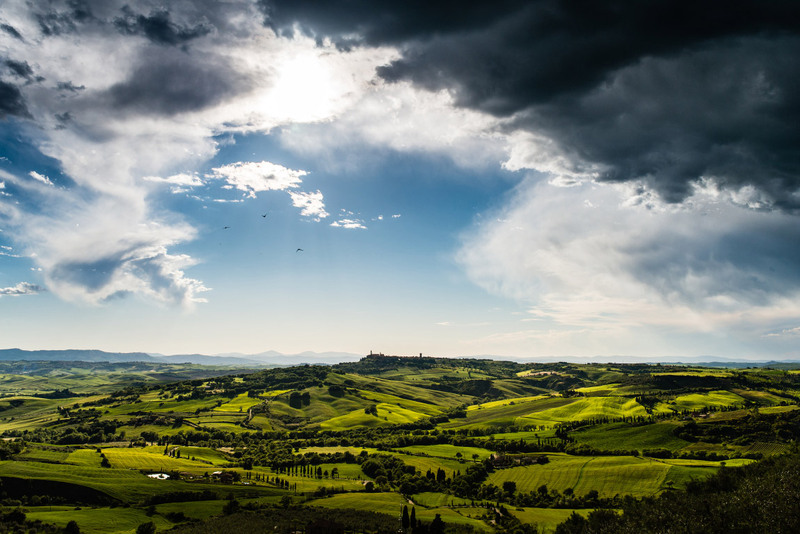 Saying our goodbyes to Val d’Orcia, we will return to spend the last morning by Podere Belvedere - this time, however, we’ll photograph from another spot to capture this marvelous scene from a different angle than on the first day. On the way back to Firenze we may make a scenic stop in San Gimignano (depending on the time schedule of our flights, though). 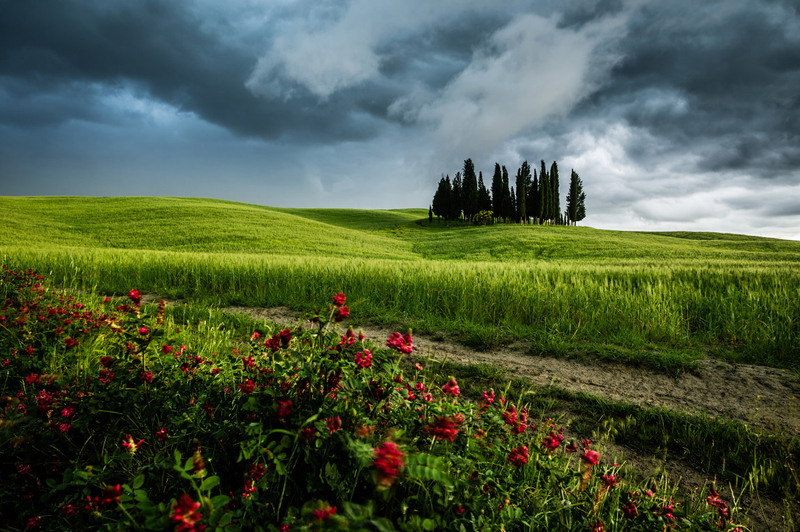 who will guide you through the area, show you the best photo locations of the Tuscany photo tour and lead you throughout the whole workflow of landscape photography (choosing the right gear, scene selection, composition, post production). make sure you pack up some. It can get freezing cold, especially in the mornings. Recommended as walking in wet fields can make your shoe weight get multiple, so bring at least two pairs to survive the wet and muddy conditions. Keeping the second pair in the car will help you keep your feet warm and dry. 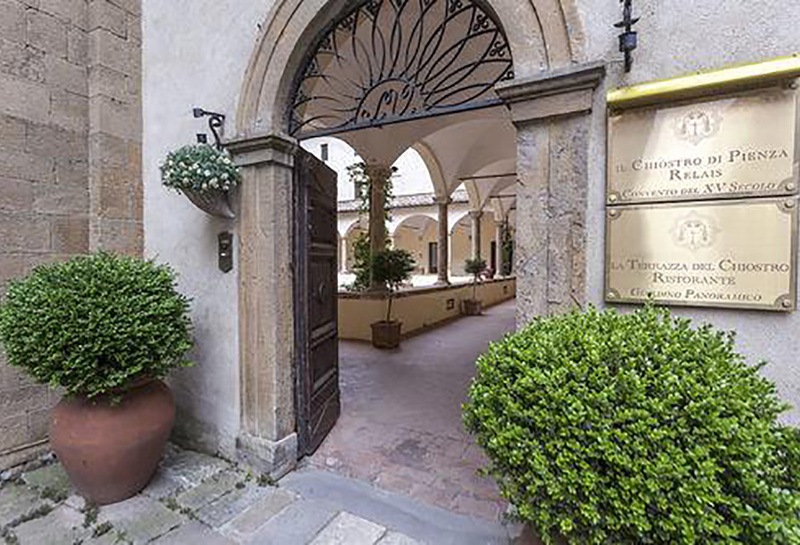 Set just 100 m from Pienza’s cathedral, Relais Il Chiostro Di Pienza historic hotel has well-kept gardens and a panoramic terrace offering lovely views of the Tuscan countryside. What could be better than a refreshing dip in Chiostro di Pienza’s outdoor pool after an afternoon exploring the old churches and monuments nearby? 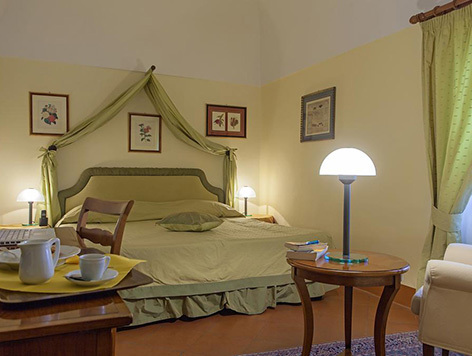 Hotel rooms feature views of the old town, the Val d’Orcia countryside or the old convent itself. All come with tea and coffee-making facilities, minibars and satellite TV and some feature original ceiling frescoes. La Terrazza del Chiostro, the Relais’s restaurant, serves Tuscan and Italian dishes out on the terrace. Take in the panoramic views while enjoying your meal.